The Best Lemon Bars Ever: Secret Ingredient! These lemon bars are by far the most requested item I make. My friends love the buttery-tart combination and recently, I was asked to make a whole bunch of them for a wedding! Since I had to mass-produce these guys, I decided to go with… bottled lemon juice, something I hadn’t done for nearly a decade. However, in so doing, I discovered that bottled lemon juice is the key to making these lemon bars consistently tart and perfect in consistency! You see, when I first started making these bars in college, I always used bottled lemon juice. Ain’t nobody have time to take the bus to the grocery store to buy real ones each time. They turned out great each time, and everybody loved them. But several years ago, I got it in my head that fresh lemon juice was even more gourmet or something. When friends gave me freshly picked lemons from their yards, I’d hand-squeeze those suckers and make lemon bars. I thought I was being fancy. If people didn’t gift me lemons, I insisted on buying real ones from the store to harvest the juice for these treats. Not long after, though, I started getting feedback, like, “Hmm. These bars are a little too sweet. Maybe less sugar,” and “You should make these lemon bars more tart. More lemony.” So I started experimenting with less sugar and more lemon juice. 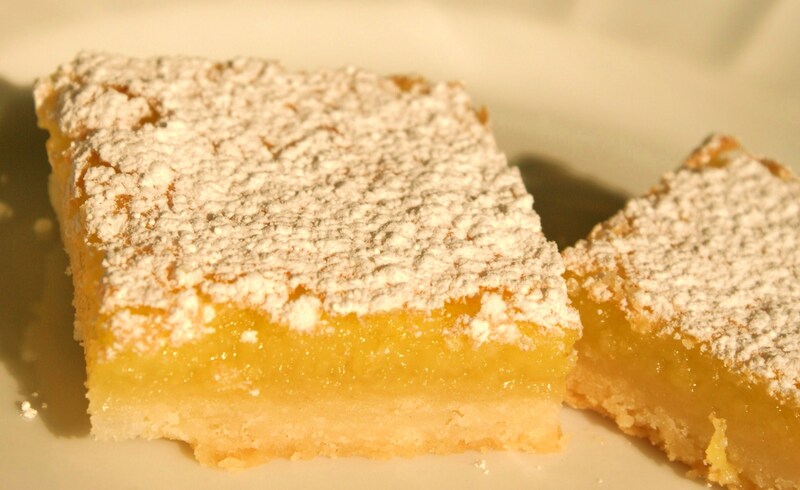 Throughout the last few years, I’ve watched the consistency of the lemon part of my lemon bars vary. Sometimes they seemed soggier. Sometimes sweeter. Sometimes not lemony enough. Did my tastebuds just change over time? Did I just not like these bars as much as before? But last month, when I used the bottled lemon juice to make allll those bars, I realized it was the lemons! 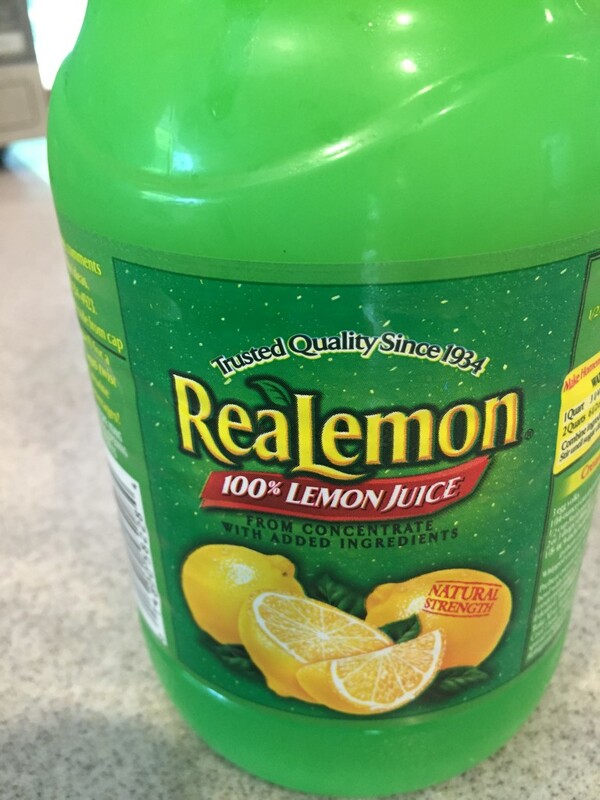 Guys, BOTTLED LEMON JUICE > REAL LEMON JUICE for lemon bars! Unexpected, right? I’m not exactly sure why, but I suspect it has something to do with the water content or varying tartness of the fresh lemons (oftentimes Meyer, which are milder) I’d use. Every lemon is different, so the inconsistency of the fresh lemons I used sure didn’t help my lemon bar experimentation. Anyway, I made nearly 200 lemon bars last month, and each one was satisfyingly tart and lemony and no one said anything about, “Hm… less sugar, maybe?” They were all happy customers so I felt the need to repost this favorite recipe with the suggestion to stick with the bottled stuff! Preheat oven to 350 degrees. Line 8”x8” baking pan* with parchment paper. Combine flour, butter, and sugar in mixer to form a ball. Press evenly into the bottom of baking pan, all the way to the edges, making sure there are no cracks. ** Bake for 25 minutes, or until crust turns golden brown. While crust is baking, use whisk to mix eggs, sugar, salt, lemon juice, and baking powder in bowl. Pour over baked crust, tilting pan to cover the edges. Bake for an additional 25-30 minutes, or until top is golden brown and does not jiggle in the pan when you shake it. *I usually double the recipe and use a 9” x 13” baking pan so there’s more to share. **Really, make sure there are no cracks. Some friends have ended up with inverted lemon bars, and I think this is the culprit. ***I think the bars are the best the next day, so I always make them at least one day ahead of time! Totally trying these Right Now and they will be my first ever lemon bars! But….Am I to use cold butter? Ah! Use softened butter. Sorry, I’ll note that in the recipe! !hope it worked out!! Hm, maybe try mixing it longer. Did it form into one big lump/ball before you started to press it into your pan? It should kind of be like play dough consistency. Should they be refrigerated after they are cooled? I refrigerate them after cooling if I’m not serving them within 24 hours. Up to you! They should be okay left out for a couple days, too. Oh, and I like to serve them at room temperature. Heh, that kind of makes sense… a big batch of commercial lemon juice would be … um, equalized, I’d guess. (I’m not sure what the word I’m looking for here is, I’m pretty tired!) We use a lot of Real Lemon here, too. I prefer the Santa Cruz organic, but Eli complains that it’s not lemony enough!